Your daily skincare routine is crucial to your skin’s health, and the right products can make your skin glow with healthy radiance. But how to know which ingredients and formulations will be the most effective? Enter cosmeceuticals. Backed by science, these are cosmetic products with active ingredients proven to deliver beneficial results to the skin. Don’t just take our word for it though. 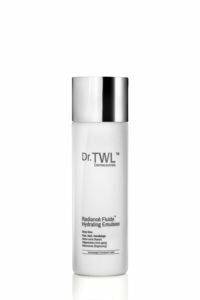 Sample our dermatologist-formulated cosmeceuticals with Dr TWL’s 7-Day Recovery Kit. 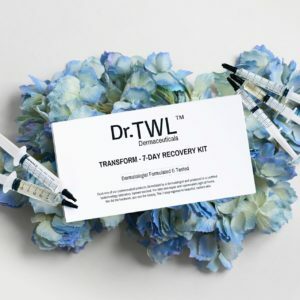 The kit contains 5 syringes of products designed by dermatologist Dr Teo Wan Lin, made with the purest bioactive and effective ingredients, and formulated using state-of-the-art technology. If you are looking for a reliable and effective skincare routine, this dermatologist-formulated cosmeceutical line will be what you need. How do I use the 7-Day Recovery Kit? Washing our face with water alone is not enough to get it clean as various cosmetic products and environmental impurities are not water soluble. Enter cleansers. With surfactants, they emulsify the impurities, allowing them to be removed easily with water. 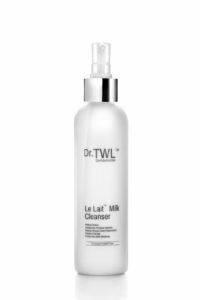 While most surfactants have potential to cause dryness and irritation of the skin, Dr.TWL’s Le Lait™ Milk Cleanser combines purified sea water (the surfactant) with camphor to calm your skin. As this cleanser is a milk/oil-based emulsification, it effectively dissolves makeup pigments that are mostly oil-based. The result is a creamy and luxurious cleanser that doesn’t dry your skin that can be washed or gently wiped off with a tissue. It is suitable for all skin types including sensitive skin. Once your makeup, sunscreen and other oil-based impurities are removed, a water-based cleanser can wash away any remaining water-based material, such as dirt or sweat. This double cleanse is important because a build-up of any unwanted debris can create an unwanted environment for bacterial growth. 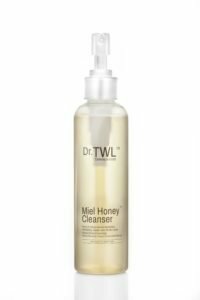 Miel™ Honey Cleanser uses botanical emulsifiers for a thorough cleanse while still leaving the skin moisturized. This non-stripping formula relies on medical-grade honey to rinse away impurities, while Arnica Montana flower extract serves to reduce inflammation and anti-bacterial properties. This cleanser is suitable for all types of skin, even those with acne. Our skin’s ability to retain water decreases significantly as we age. Hyaluronic acid – made of molecules that can hold up to 1,000 times their weight in water – replenishes the skin’s moisture supply after cleansing. It maintains hydration to help to plump the skin and decrease the appearance of fine lines and wrinkles. Keeping skin well-hydrated also regulates oil production as your skin does not need to produce excessive oil to stay moisturized. 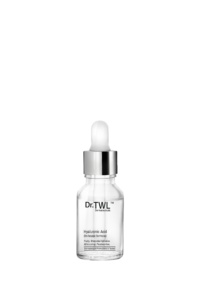 Dr.TWL’s hyaluronic Acid (In-House Formula) is an intensely concentrated, laboratory-grade pure serum. It also boasts an excellent safety profile: non-toxic, non-carcinogenic, non-immunogenic. With anti-oxidant effects and a role in collagen stimulation, vitamin C is a star favourite in fighting pigmentation. Antioxidants work by reducing the damage that free radicals from sun damage cause to our skin cells. Our bodies do not produce vitamin C and taking it orally doesn’t deliver its full benefits to our skin’s surface. For effective antioxidant and collagen stimulation, a stable form of topical vitamin C is needed. One of the most potent form of vitamin C is L-ascorbic acid. However, it is difficult to stabilize as it oxidizes quickly when exposed to oxygen. A newer and more effective derivative is Sodium Ascorbyl Phosphate. As a more stable form of vitamin C, it can deliver better efficacy even at lower concentrations. 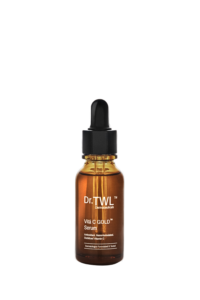 VITA C GOLD™ Serum is a potent formulation of sodium ascorbyl phosphate with antioxidant protection to boost radiance and fight uneven skin tone. Moisturizers help restore the skin barrier after cleaning, provide a soothing and protective film against inflammation, and maintain the hydration of the outer skin layer. Moisturizers generally supply humectants and occlusive agents. Humectants enhance water absorption from the deeper skin layers to the outer skin surface. In humid conditions, humectants also draw water into the skin from the external environment. Occlusives work as a barrier against transepidermal water loss (TEWL). As water from the deeper skin layers moves upwards to hydrate outer skin cells, occlusives prevent this moisture from being lost to evaporation. Moisturizer predominantly exists as lotions or creams. Lotions are thinner as they are made of oil in water formulations. With their lightweight quality, they are commonly preferred for daytime use. Creams are water in oil formulations. Made with heavier lipids, they tend to be used at night. Radiance Fluide™ Hydrating Emulsion is an oil in water moisturiser. It delivers effective moisture delivery while having the comfortable lightweight feel of a lotion. With a silky texture, this formula is fortified with active ingredients like amino acids to repair the skin, niacinamide to boost radiance and oligopeptides for anti-ageing benefits.